Tea has been my absolute obsession for the last 8 years since my first authentic cup of green tea my first night in Japan. I had never even thought of tea before that moment, but when I took that first sip, I knew I was hooked. Green tea was my go to tea for the 3 years I lived in Gifu Prefecture, and it still is in many ways. It was only when I returned home to the States that I realized just how many forms, flavors and colors of tea there was to offer. More than I could have ever imagined! Yet out of them all, and I’ve tried quite a lot, there is but one tea I can truly call my favorite: Double Earl Grey. 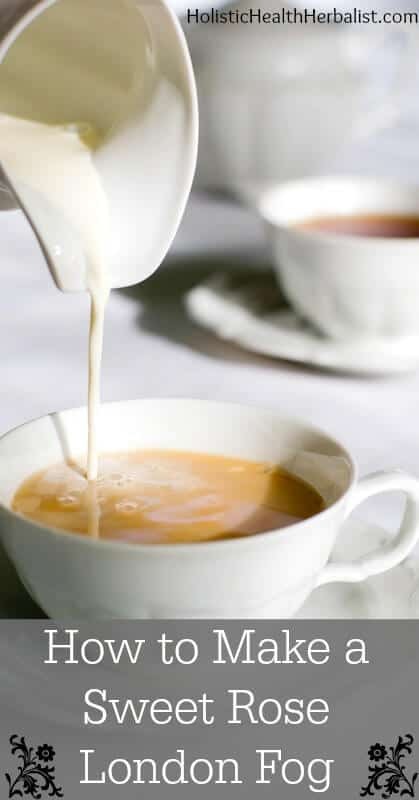 Earl Grey itself is full bodied, robust, and extraordinarily rich yet somehow refreshing at the same time. Its refined notes of tart orange and floral lavender make it an aromatic and relaxing tea. I love Earl Grey tea so much I even diffuse bergamot essential oil in my house when the boyfriend isn’t home (he doesn’t like the smell of bergamot…I know right!?). • While running the blender, slowly add the cream, the piece of vanilla bean (or extract), the honey and the rose water if you’re using it. You can also use ROSE INFUSED honey! • Pour into a nice big mug and enjoy rose sweetened bliss! [yumprint-recipe id=’44’]This tea is sooooo good, especially if you top it with fresh whipped cream. I like to make this tea in the afternoon when I’m getting ready to relax after a long day. It’s the perfect pick-me-up and oh so delicious. I hope you give it a try! Did you know that you can make your own Earl Grey tea using essential oils? Learn how to make it HERE. Earl Grey and Earl Grey Creme are my absolute favorite teas…and I am a raw honey fanatic. I think you must have made this recipe for me! Thank you very much! This is delicious! I’m so happy to be able to make one of my favorite coffee store drinks at home. Thanks!